Affordable structures that withstand earthquakes? Cast Connex, a U of T startup, has developed an inexpensive way to construct earthquake-resistant buildings with the potential to save lives around the world. Recent earthquakes in Nepal and Haiti together destroyed more than a quarter of a million buildings and killed over one hundred thousand people. If developing countries in earthquake zones could build homes and infrastructure that withstand major seismic events, they could mitigate the damage and save countless lives. The world needs cheap, earthquake-resistant buildings. 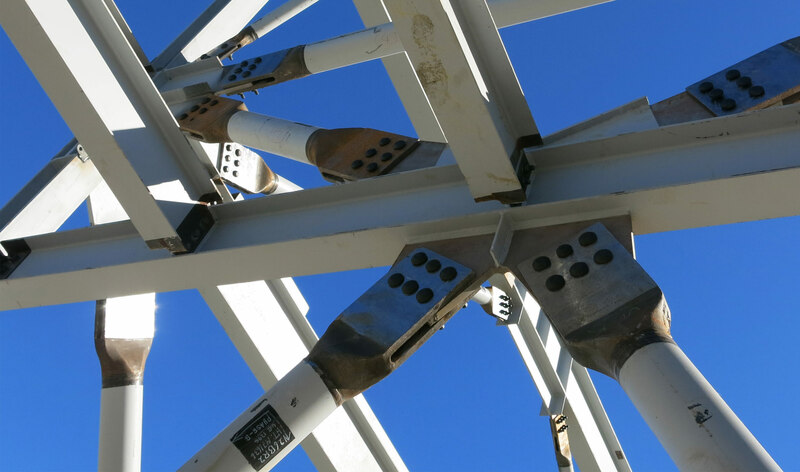 Cast Connex Corporation, a company incubated in the Faculty of Applied Science and Engineering, has a solution: steel connectors that absorb seismic shocks, allowing structures to remain standing during earthquakes. U of T alumni Carlos de Oliveira (CivE MASc 2006) and Michael Gray (CivE PhD 2011) developed the connectors under the supervision of Professors Jeffrey Packer and Constantin Christopoulos. In 2007, the four founded Cast Connex to commercialize the life-saving system. Most steel frame construction welds together support beams cut from large plates. However, the resulting buildings are relatively rigid, vulnerable to damage and collapse in earthquakes. On-site welding also drives up costs in remote areas when the necessary tools and expertise are difficult to procure. After the Haitian earthquake in 2010, Cast Connex donated their steel castings to enable the construction of an earthquake-resistant school in Port-au-Prince, the country’s capital. Once complete, the school will serve as a “safe zone” in the event of another earthquake. The project was part of an industry-wide coalition to help the island nation prepare for future natural disasters. The connectors are particularly useful in a place like Haiti, where there is no domestic steel industry. The same technology developed at U of T has also been involved in several major projects in the United States, including the TransBay Center in San Francisco, the retractable roof of the US Open’s Arthur Ashe Stadium in Flushing, New York, and the new One World Trade Center in New York City. In 2013, the company began construction on two Canadian projects: the Audain Art Museum in Whistler BC, and a retrofit for the St. Aubin High School in Baie-Saint-Paul, Quebec—the site of one of the worst earthquakes in Canadian history. Mr. de Oliveira’s research was funded in part by the Heffernan Commercialization Fellowship, which enables graduate students to transform their research into successful businesses. Oliveira also credits U of T’s Innovations and Partnerships Office (IPO) and the Ontario Centres of Excellence (OCE) for helping to launch the company. “The IPO office was instrumental in the success of our company,” he says. “They provided us with incubator space, business mentoring and support in filing for patents.” OCE provided financial support in the form of a market readiness grant and a fellowship.